What Explains Donald Trump’s Arrogance? Donald Trump’s behavior on stage Thursday night and in the days that have followed strike many as unfathomable: How can anyone act so arrogantly and meanly in public life? But in fact, there is a large body of academic and other work that helps to explain. Just Google the literature on “narcissistic leadership” and you will instantly recognize Trump — both his bright and dark sides. A century ago, Sigmund Freud famously identified three basic personality types: erotics (those who love and need to be loved), obsessives (more inner-directed), and narcissists (those fixated with themselves and who crave adoration, not love). More recently, Michael Maccoby, a psychoanalyst and anthropologist who has counseled governments and corporations for decades, has written the most accessible and popular work on narcissistic leaders. In my view, his article in the Harvard Business Review in 2004 remains the best short essay on the subject in the past several years. Maccoby recognizes that Freud’s three types overlap in many of us and that all of us have a degree of narcissism. Self-esteem helps us survive and meet our basic needs in life. Maccoby goes on to argue that in turbulent, uncertain times, societies actually need narcissistic leaders. They tend to be strong people like Trump with large vision, lots of charisma, oratorical magnetism and a powerful drive to get results. They are less concerned with dangers in the future than with transforming it. But there are traps for “productive narcissists” — and here’s where the Trump saga gets interesting. As narcissistic leaders experience one success after another, they face a danger of believing more and more in their own infallibility and less in the judgment of others. Freud argues, and Maccoby agrees, that narcissistic leaders can become increasingly isolated and distrustful of others. They develop thin skin and lash out when questioned. Apple co-founder Steve Jobs, for all his brilliance, publicly humiliated his subordinates. In more extreme cases, they become relentless and ruthless; their response to critics turns into apparent vengeance. Sound familiar? 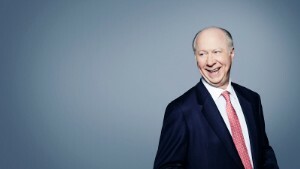 David Gergen is a senior political analyst for CNN and has been a White House adviser to four presidents. A graduate of Harvard Law School, he is a professor of public service and co-director of the Center for Public Leadership at The Harvard Kennedy School. Previous story What Does Personality Analysis Say About Walker?